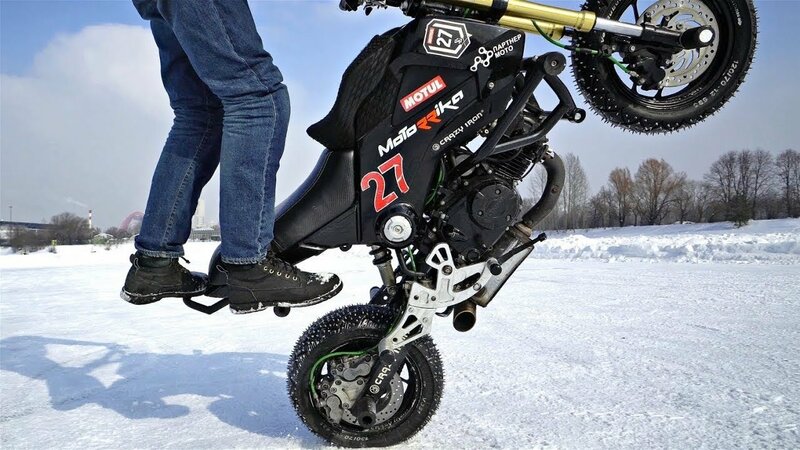 Russian rider Nikita made several cool stunts on his MSX125 with spiked tires. He managed to go christ, highchair wheelie, tornado, circles, stoppie and jump! Nikita is lightweight, so could not load the fork for better stoppeis, but could do highchair wheelie. Tires were made with self-tapping screws and worked fine!